Blower assembly for furnaces with 5 ton a/c units. 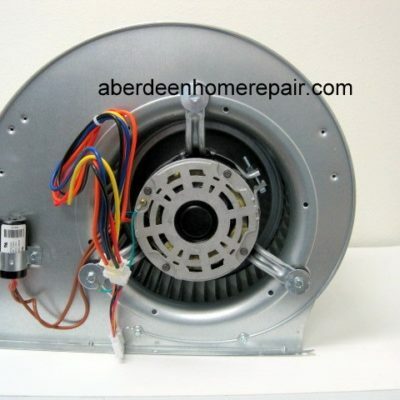 Assembly includes 903096 3/4hp motor, 667258 11×8 blower wheel, 621377 run cap, housing & plug. Used on E2BH, E2EB, E2EH & E3 electric furnaces. Blower assembly for furnaces with 2-4 ton a/c units. Used on E2BH, E2EB, E2EH & E3 electric furnaces. 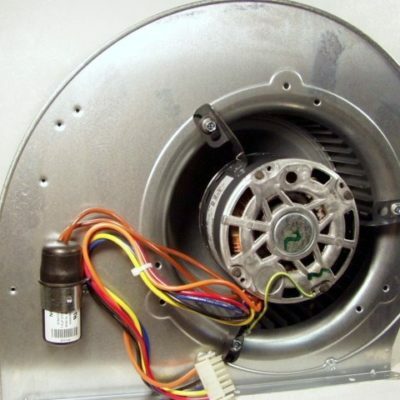 Assembly includes 903075 motor, 667037 10×8 blower wheel, 622132 run cap, housing & plug. 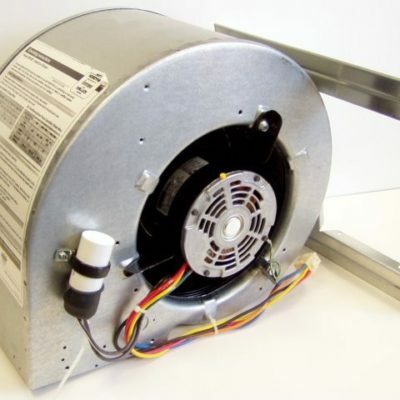 Blower assembly for furnaces with 2-4 ton a/c units. Used mostly on E1EH electric furnaces. Includes 901838 motor, 667252 10×7 blower wheel, 622132 run cap, housing & plug. 1/4 hp 2 speed blower motor. 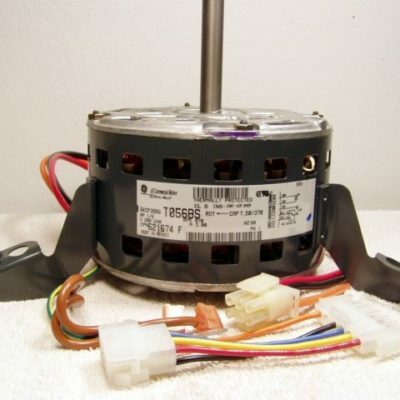 Replaces many 1 & 2 speed motors for FE, FEH, FEB & FEY furnaces. 1050 RPM, 1.5 Amps, 240-208V, shaft is 1/2″ x 4″, housing is 5″ diameter x 4.5″ long, CWSE rotation, 3 attached feet. Wiring: orange-common, black-high, red-low, browns-run cap. Requires a 622132 run cap. Replaces 104656000, 620700, 620710, 620720, 621449, 901292, 901293, 901294 & 902889. 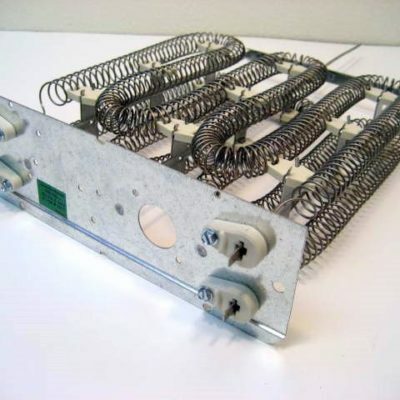 15 kw heating element. Assembly number 270004. Front plate measures 9.25″ x 3.0″. 11.25″ deep plus rod which can be trimmed to fit. Limit switch not included. 4 speed blower motor. 240V, 1/3hp, 960rpm, 2.90A. 1/2″ x 4″ shaft size. 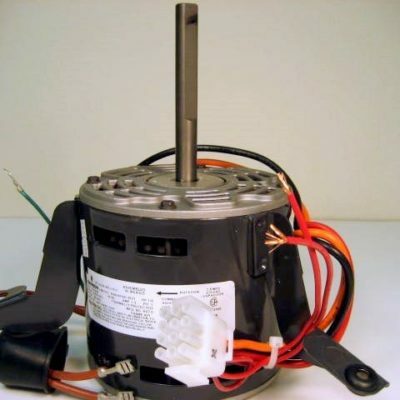 Motor housing 5.5″ diameter x 4″ deep. Wires: brown to run cap, black-high, blue-medium high, yellow-medium low, red-low. Requires run capacitor 622132 (not included). Replaces 621675, 622115, 622235 & 903908. 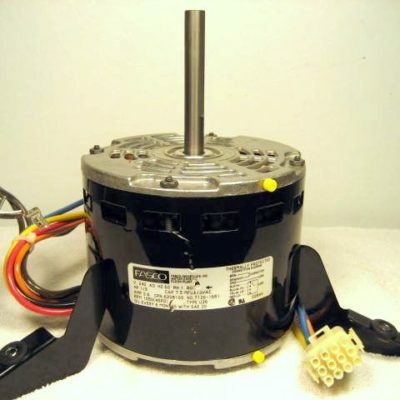 1/3hp 4-speed motor with plug. 240V, 2.6A, 1050RPM, type U26. Wiring: black-high, blue-med high, yellow-medium low, red-low, browns-run cap. Shaft size 1/2″ x 3.25″. Housing 5.5″ diameter x 4.5″ deep. Requires run cap 622132 (not included). Oil every 6 months with SAE 20. Replaces 620810, 620838 & 901295. 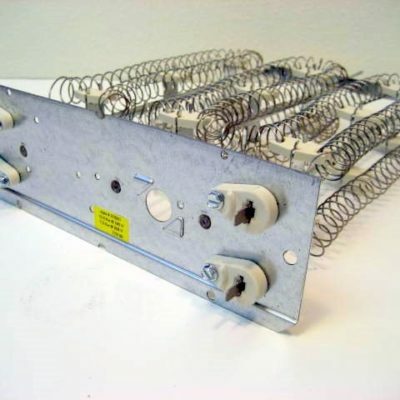 11.6 kw heating element. Assembly number 498193. Front plate measures 9.25″ x 3.0″. 11.25″ deep plus rod which can be trimmed to fit. Limit switch not included. Replaces 498193, 4981930, 631694, 6316940, 432723, 4327230, 491223 & 4912230. 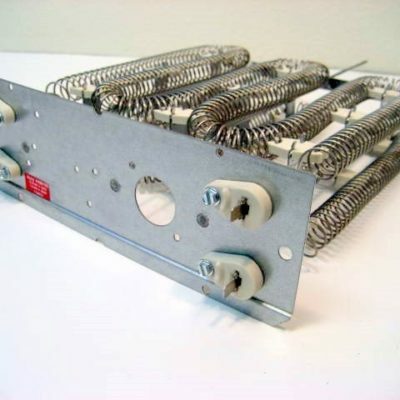 11.6 kw heating element. Assembly number 270003. Front plate measures 9.25″ x 3.0″. 11.25″ deep plus rod which can be trimmed to fit. Limit switch not included. 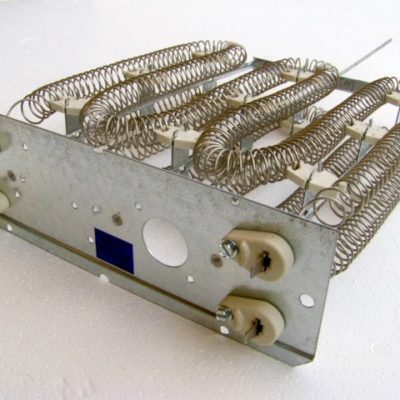 10.8 kw heating element. Assembly number 498192. Front plate measures 9.25″ x 3.0″. 11.25″ deep plus rod which can be trimmed to fit. Limit switch not included. Replaces 631693, 6316930, 432722, 4327220, 491222, 4912220 498192 & 4981920. 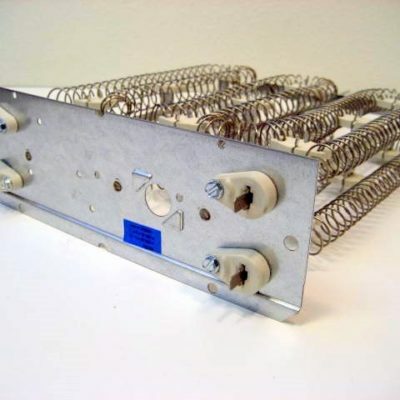 10.8 kw heating element. Assembly number 270002. Front plate measures 9.25″ x 3.0″. 11.25″ deep plus rod which can be trimmed to fit. Limit switch not included. 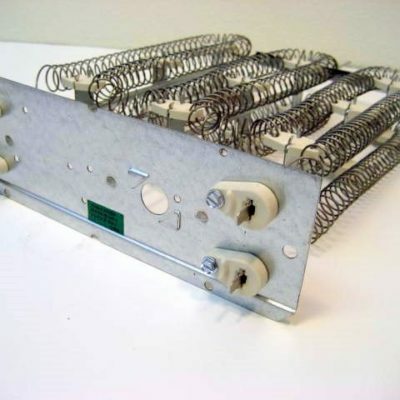 10 kw heating element. Assembly number 270001. Front plate measures 9.25″ x 3.0″. 11.25″ deep plus rod which can be trimmed to fit. Limit switch not included. 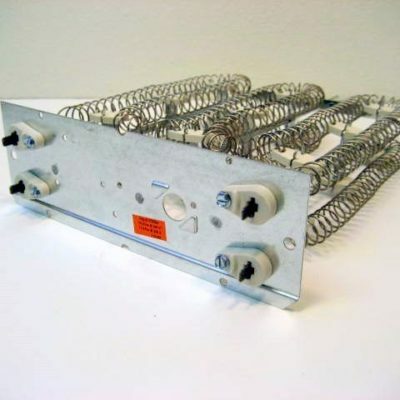 10 kw heating element. Assembly number 498191. Front plate measures 9.25″ x 3.0″. 11.25″ deep plus rod which can be trimmed to fit. Limit switch not included. Replaces 631692, 6316920, 432721, 4327210, 491221, 4912210, 498191 & 4981910. 2 speed blower motor. 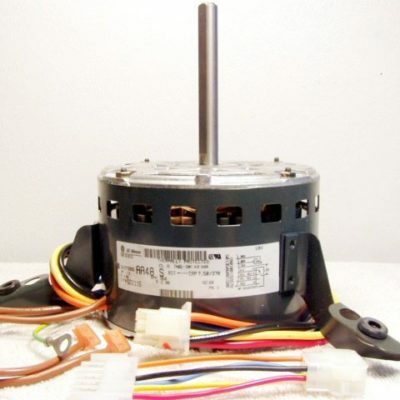 1/5hp, 208-240V, 870RPM, 2.0A. Shaft size 1/2″ X 4″. 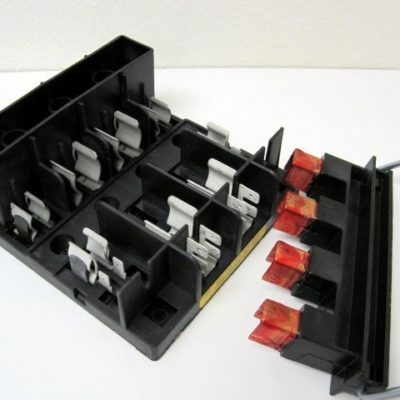 Housing diameter is 5.5″ X 3.25″ deep. Wires: brown to run cap, black-high, red-low. Requires run capacitor 622132 (not included). Replaces 621674. 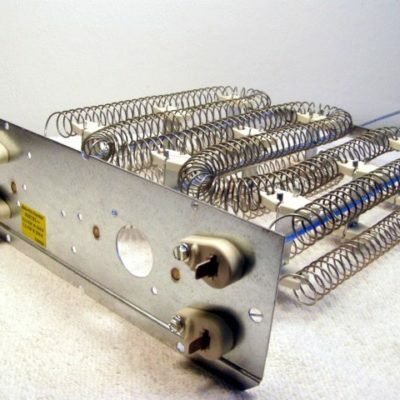 10.4 kw heating element. Assembly number 498195. Front plate measures 9.25″ x 3.0″. 11.25″ deep plus rod which can be trimmed to fit. Limit switch not included. Replaces 432724, 4327240, 491224 & 4912240. Disconnect assembly includes plug. Uses four 3″ fuses. Interlock (plug) is no longer available separately. Does not included fuses and mounting screws. If your original disconnect has 4 main wires (not 2) leading to it, you need this kit. Soon to be discontinued. 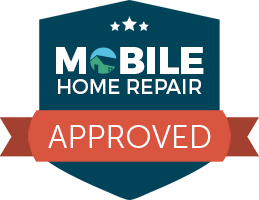 Replaces 104572002, 360950, 620526 & 6205260. Disconnect assembly includes plug. Measures 4″ x 5″. 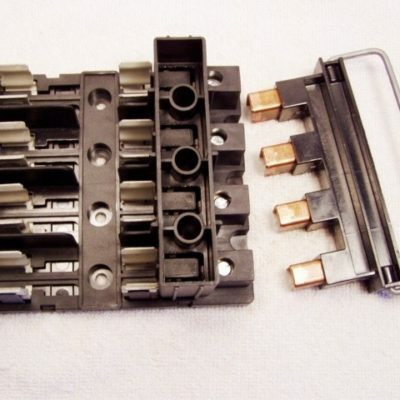 Smaller size 2″ fuses fit in the outside, larger 3″ fuses on the inside. Interlock (plug) is no longer available separately. Does not included fuses and mounting screws. Soon to be discontinued. If your original disconnect has 4 main wires (not 2) leading to it, you need this kit. Replaces 360940.